I’m waking up to about 4-6″ of snow this morning and it is so pretty. Schools are closed, so the kids will want to head out as soon as they wake up, I’m sure! We had some of my Husband’s family in from Florida for a few days, we had a great visit with them dispite the non-stop rain and spending an entire night in the ER with my 5 year old. No big issue, a bad ear infection that couldn’t wait for the doctor’s office to open in the morning, she’s fine now. The ER was PACKED! We finally saw the doctor at midnight (got there at 8pm) and he said ER visits were up 33% due to unemployment and lack of insurance. I hope things turn around for all of us in the near future. Ecominders are printed green on clear, repositionable stock and were designed to fit in the environment they are suited for. Ecominders Home & Office are perfectly sized for their application and are large enough to be noticed but not in any way obtrusive. Ecominders Kids & Schools were designed to be colorful, clever and appealing to a young audience. No matter what Ecominder you choose, you will see how truly easy it is to make a difference when it comes to saving the environment! These stickers are perfect for an office or school environment helping others remember to shut off the lights, printer, coffee maker, or even use a few less squares of TP. The school version of these stickers are colorful and fun, great for catching kids attention. I plan to send this set over to my daughters k5 class. 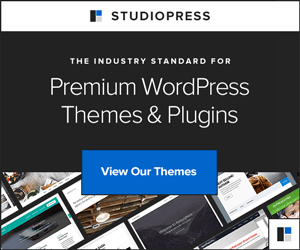 The home/office version kindly reminds your co-workers, family, or even yourself to unplug, turn off, turn down and more, whenever possible, to help conserve resources. Ecominders are printed using eco-friendly inks & environmentally responsible processes by a 100% wind powered printing facility (via Renewable Choice Energy). And 1% of our profits go directly to 1% For the Planet, benefiting numerous environmental efforts around the world. This product is a great little step to help you make a lighter impact on your environment! Ok, so off to get the kids dressed to play in the snow while you get your entries in! Ecominders is giving away sets of these Ecominders along with a reusable tote to 3 of my readers! Visit Ecominders read and learn, then comment here about a point that interested you. Blog about this giveaway and link back to this post. Use other forms of social networking to spread the word about this giveaway. Subscribe to my feed to stay up to date with the latest from Eco-Office Gals. Three Winners will be picked randomly on 3/4/09. Leave a separate entry for each one you do and US residents only, please. Good Luck! 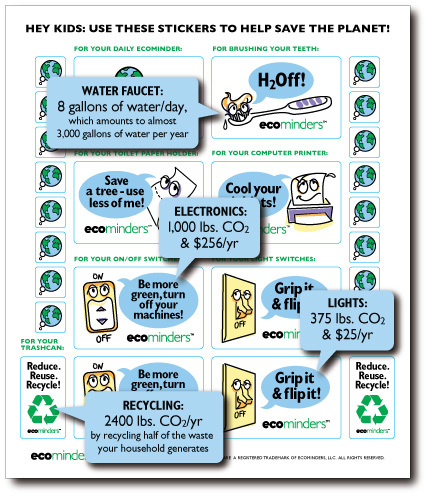 Ecominders are easy-to-use, removable & reusable stickers that help us all remember the little things we can do every day – things that make a big difference when it comes to protecting our planet. This is wonderful ! It’s hard to tell the kids & remind them of how to be “green’. They love stickers & this sounds like a fun way for them to learn how to save our planet! not shutting off the faucet while brushing your teeth could waste 3000 gallons of water a year. Clean your car’s air filter and improve gas mileage by as much as 10%. 1% of their profits go directly to 1% For the Planet, benefiting numerous environmental efforts around the world. It is easy to make small changes in your life, at your home, school and office. These will remind me to do that. I like how they are gentle reminders to save the environment..a little bit makes a big difference! And 1% of their profits go directly to 1% For the Planet, benefiting numerous environmental efforts around the world. I was surprised to learn the a person receives 41 pounds of junk mail a year and that there is an organization called…….41pounds.org E-amil them to stop all of the Junk!! Ecominders Kids & Schools provides a great way to get your kids involved in being green, or for kids to get their parents involved! I was surprised that not shutting off the faucet while brushing your teeth could waste 3000 gallons of water a year. Thank you for having this giveaway. I like the nice selection and that their eco-friendly. I found it interesting that we often spend more on appliances when they’re off than when they’re on. Thanks! Ecominders are printed using eco-friendly inks & environmentally responsible processes by a 100% wind powered printing facility. OK, took a really good look and this would be FANTASTIC to put on the Green Board at my son’s preschool. Fun for the kids, but EYE CATCHING for the parents. Trying to green my husband;’s business and my son’s preschool! i like all the different designs and it is eco friendly!!!! Ecominders are printed green on clear, repositionable stock so as to be noticeable but not obtrusive. One percent of The Planet is awesome and what a variety! we use so many reminders in our day to day life. this is a wonderful idea..
Great useful tips on saving the planet. Cool that Ecominders are printed using eco-friendly inks & environmentally responsible processes by a 100% wind powered printing facility (via Renewable Choice Energy). And 1% of our profits go directly to 1% For the Planet, benefiting numerous environmental efforts around the world. I really like how they are a simple product that can help people to be eco-friendly and help reduce utility costs. I love that I can “watch utility bills go down and reduce your carbon footprint, water consumption and waste.” just by using these! Green tip: Need a plant for the office? Consider Herbs: Basil, Dill, Sage or Lemon grass will enhance your space, freshen the air and it’s a great converstation starter. I really like that the facility is wind powered. We want to get a wind turbine. The cost is too much at the moment. Ecominders is a member of 1% For The Planet. I learned that Ecominders are printed using eco-friendly inks & environmentally responsible processes by a 100% wind powered printing facility. I like that they use wind power and that they’re member of 1% for the Planet. Not a bad idea to be reminded to turn off the water when you brush and such. I subscribed to the feed via Google Reader. I like that the ecominders are reusable! I especially like the home and office stickers. It’s great Ecominders is a member of 1% For The Planet. I like that they are interesting to kids and will help start eco-conversations as a family. I like the variety of stickers. Ecominders are printed using eco-friendly inks & environmentally responsible processes by a 100% wind powered printing facility (via Renewable Choice Energy).